Snail (Freddie) will be the highlight of your home or next event with his lovable face and eyes that are literally popping out of his head. Bright green with a brown home that he carries around, he will be a sight to look at in any place. Snail (Freddie) can specifically be used for Alice in the Wonderland or Garden themed events. 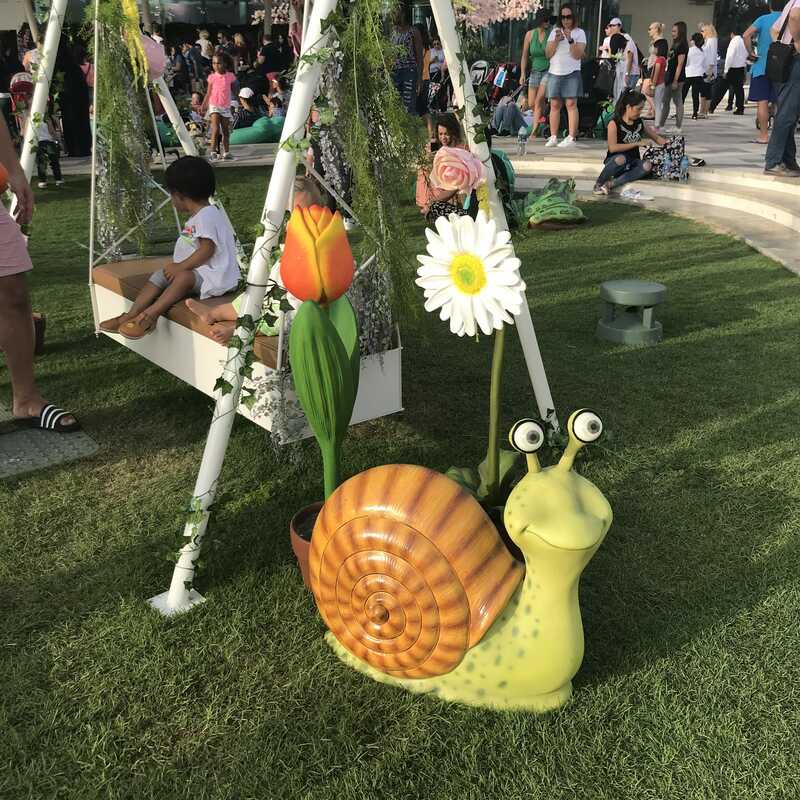 Tags: Animal themed props, Freddie the snail, Garden Theme, garden themed decor, Giant Snail, Snail, Snail prop UAE, Snail statue, The Prop Shop Snail, Wonderland decor.